Thank You Belleville High School! Students from the Belleville High School Environmental Science and Biology classes visited DeKorte Park recently for a first-hand lesson on how erosion and non-native, invasive vegetation can affect an ecosystem. 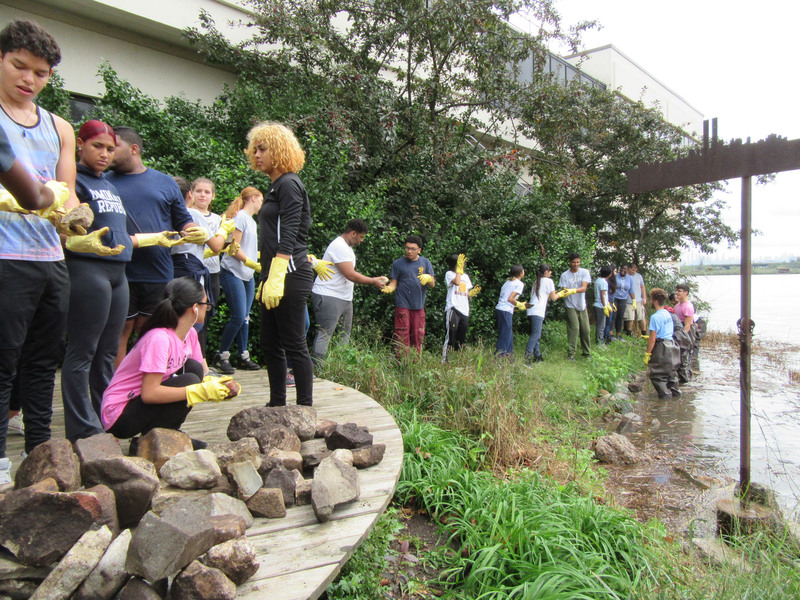 The students, accompanied by teachers Angelo Gaccione and Peter Blodnik, helped stabilize shoreline edges in the park that have been eroding over the past few years due to storms, wind and runoff. 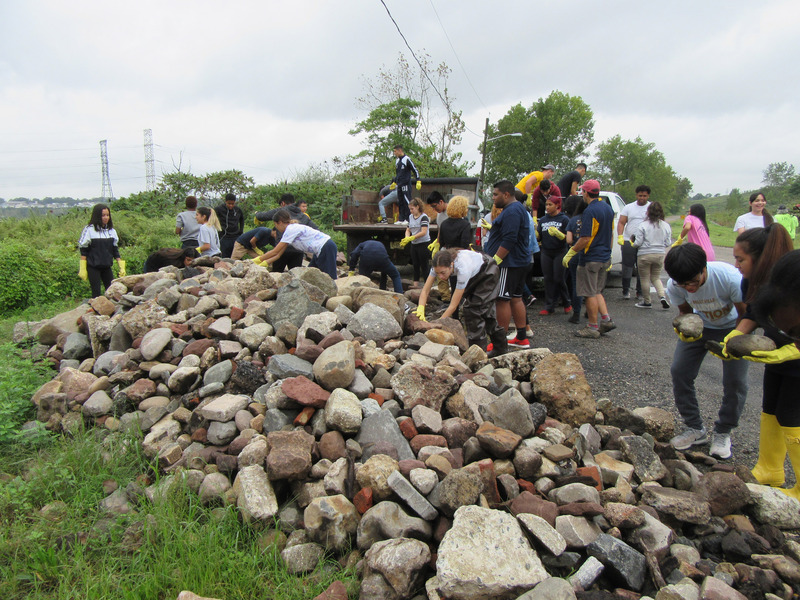 The students placed rocks along the water’s edge at the World Trade Center Memorial Cove and the Lyndhurst Nature Reserve to shore up their banks and further the beautification of the park. The students had previously worked on the areas this past spring. Thank you Belleville High School students and teachers for your great help and commitment to environmental conservation and preservation! BCAS Walk This Sunday Morning (Oct. 7) at Harrier Meadow! 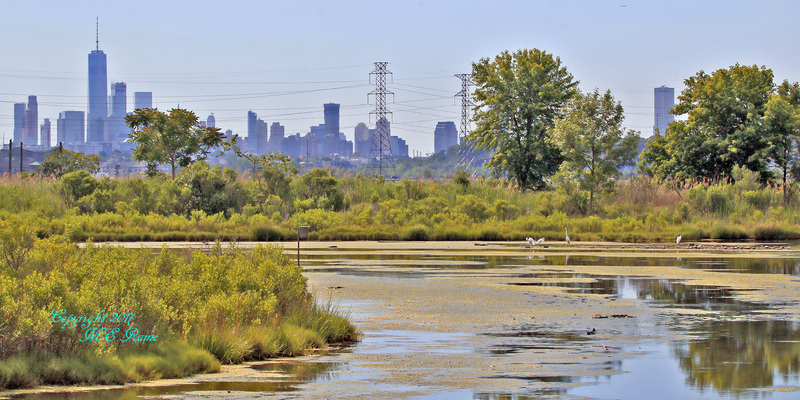 Join the Bergen County Audubon Society for a guided nature walk through Harrier Meadow in North Arlington, a stunning preserve normally closed to the public, this Sunday, Oct. 7. They’ll be looking for fall migrants, waterfowl and shorebirds. The walk goes from 10 am to noon.